Hosted by Michael Wood this documentary looks at the worldwide Nazi search for archaeological and historical support for their beliefs in the Aryan (German) master race. The program outlines how the racialist theories of the SS were drawn from archaeology, myth and legend, as well as selected history. This program contains rare and previously unseen footage, including color film of the Nazi expedition to Antarctica, film of the Nazi expeditions across the world, from the Baltic to Venezuela, footage of the 1938 expedition to Tibet. 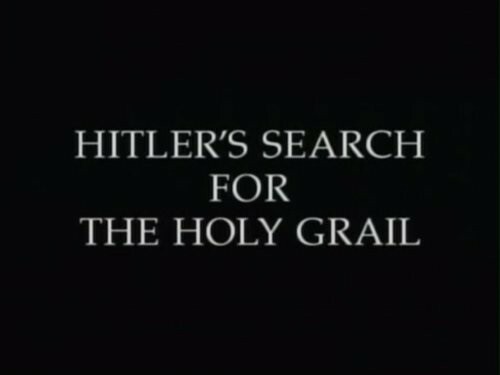 The film conjures the eerie world that permeated the thoughts of key members of the Nazi leadership, especially Himmler, and shows how top scholars, some of them still alive, collaborated in this project. The Spanish conquest of the Americas in the sixteenth century was one of the most cataclysmic events in history. Spanish expeditions had to endure the most unbelievable hardships to open up the lands of the New World. Few stories, if any, in history match these for sheer drama, endurance and distance covered. Michael Woods travels in the footsteps of the Spanish adventures. All World is Human – Cabeza de Vaca was shipwrecked off the coast of Texas in 1528 and lived with Indians for eight years. Upon his return to Spain, he wrote a book based on his experiences. His tale is one of empathy and respect for the Indians. 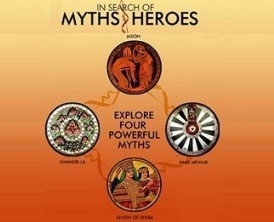 Michael Wood goes in search of four of the world’s most famous myths. These gripping adventures take the viewer to some of the most extraordinary places on earth, exploring stories that have captivated the world for thousands of years. Jason and the Golden Fleece The tale of Jason, the Argonauts and the Golden Fleece is one of the oldest stories in all of Greek myth. In this episode, Michael Wood traces the route of Jason and his famous boat, the Argo, along its route from Greece to Turkey and Georgia. The world’s largest democracy and a rising economic giant, India is now as well known across the globe for its mastery of computer technology as it is for its many armed gods and its famous spiritual traditions. Like other great civilizations had not just one but several brilliant golden ages in art and culture. Episode 2 The Power of Ideas – The revolutionary years after 500 B.C. the Age of the Buddha and Mahavira. 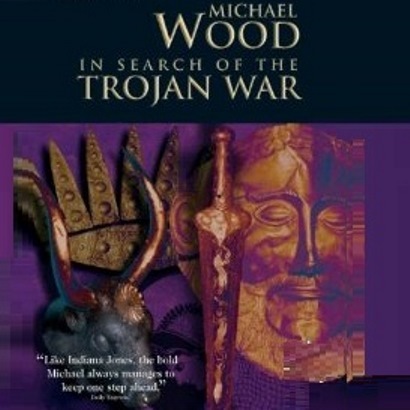 traveling by rail to the ancient cities of the Ganges plain, by army convoy through Northern Iraq, and down Pakistan’s Khyber Pass, Michael Wood shows how Alexander the Great’s invasion of India inspired her first major empire in the form of the Mauryan Empire. The world’s largest democracy and a rising economic giant, India is now as well known across the globe for its mastery of computer technology as it is for its many armed gods and its famous spiritual traditions. But India is also the world’s most ancient surviving civilization, with unbroken continuity back into prehistory. 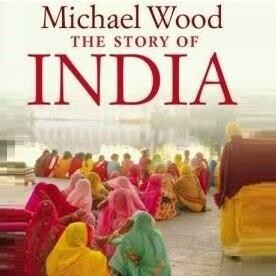 In this landmark six part series for PBS and the BBC, Michael Wood will embark on a dazzling and exciting journey through today’s India, seeking in the present for clues to her past, and in the past for clues to her future. Episode 3 Spice Routes and Silk Roads – after the West’s “discovery” and subsequent exploitation of the Monsoon winds, trading of spices and gold with the ancient Romans and Greeks put the subcontinent at the heart of global commerce. The trading of pepper, rice and silk put the West coast of India, and particularly modern day Kerala, on the map of global business. This episode also looks at how the invading Kushan empire from central Asia, particularly the emperor Kanishka, established major trading cities in Peshawar and Mathura, as well as helping to take Buddhism to China. As the world approaches the 21st century, this new series hosted by Michael Woods and produced in 1991, reminds us that other nations and cultures prospered for hundreds or even thousands of years. Now all that remains is the legacy of their civilizations, present and influential in our own. Shot on location on four continents, Legacy takes a different viewpoint from other series that concentrate primarily on the the Western view of history. Visiting China, India, Egypt, the Middle East, Greece and Meso-America, this series traces the rise of both Asian and western civilization. Iraq The Cradle of Civilization – After thousands of years as a hunter/gatherer, man built the first cities 5,000 years ago on the banks of the Euphrates in Southern Iraq. Civilization began. City life transformed the human race with the glorious cultures of Mesopotamia such as Ur and Babylon. The world’s largest democracy and a rising economic giant, India is now as well known across the globe for its mastery of computer technology as it is for its many armed gods and its famous spiritual traditions. Like other great civilizations had not just one but several brilliant golden ages in art and culture. Episode Four is the story of India in the Middle Ages. At the time of the fall of the Roman Empire in the West, and the European Dark Ages, India had a series of great flowerings of culture, both in the north and the south. The world’s largest democracy and a rising economic giant, India is now as well known across the globe for its mastery of computer technology as it is for its many armed gods and its famous spiritual traditions. Like other great civilizations had not just one but several brilliant golden ages in art and culture. Episode 5 The Meeting of Two Oceans – The fifth episode of the story of India takes us to the time of the Renaissance in Europe, when India was the richest, most populous civilization in the world. We visit the desert cities of Rajasthan and travel among the fabulous Mughal cities. As the world approaches the 21st century, this new series hosted by Michael Woods and produced in 1991, reminds us that other nations and cultures prospered for hundreds or even thousands of years. Now all that remains is the legacy of their civilizations, present and influential in our own. Shot on location on four continents, Legacy takes a different viewpoint from other series that concentrate primarily on the the Western view of history. Visiting China, India, Egypt, the Middle East, Greece and Meso-America, this series traces the rise of both Asian and western civilization. China The Mandate of Heaven – Many breakthroughs on which the modern world is based were discovered in China long ago: iron-casting, gunpowder, even printing. When introduced to Europe, these things changed Western civilization. This episode presents the synthesis of East and West. As the world approaches the 21st century, this new series hosted by Michael Woods and produced in 1991, reminds us that other nations and cultures prospered for hundreds or even thousands of years. Now all that remains is the legacy of their civilizations, present and influential in our own. 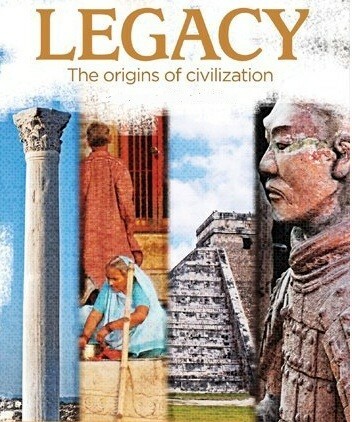 Shot on location on four continents, Legacy takes a different viewpoint from other series that concentrate primarily on the the Western view of history. Visiting China, India, Egypt, the Middle East, Greece and Meso-America, this series traces the rise of both Asian and western civilization. Egypt The Habit of Civilization – Ancient Egypt was the first great nation on earth and endured for thousands of years. The god like Pharaoh was the rock on which this civilization was built. Ancient traditions come together in the Moslem culture that is the Middle East today. 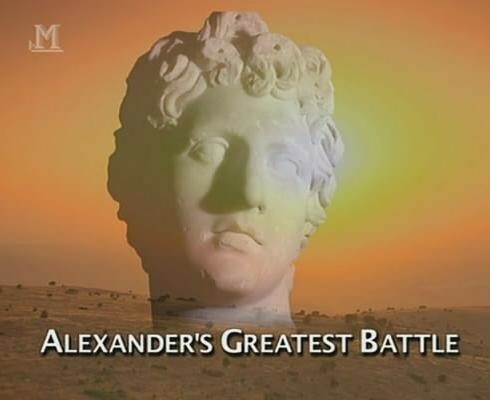 Michael Wood travels through Syria and Iraq to uncover the story of Alexander the Great’s decisive battle against the might of the Persian Empire in 331 B.C.. Ancient writers agreed that it was fought somewhere near the city of Irbil in northern Iraq, but the exact location has never been discovered. Using dramatic new finds in the UK a cuneiform clay tablet in the British Museum and a papyrus dug up in Egypt Michael sheds new light on the course of events. In Search of Shakespeare is a four part series exploring the life of the world’s greatest and most famous writer. It takes the form of a detective story, a documentary search, and a journey not the style of historical TV shows that use re-enactments and tableaux. There is no one dressed up as Will Shakespeare or Queen Elizabeth! Instead the Royal Shakespeare Company gives a group of Britain’s best young actors and actresses the chance to go on tje road and play in the places where his company played. Shot documentary style, on and off stage, the successors of Shakespeare’s company give us a magical glimpse into how it was done playing scenes from all Shakespeare’s great shows in Tudor Guildhalls, Royal Palaces like Hampton Court, and even in broad daylight. But the core of the series is a biography. The story of one Elizabethan, his life, family and friendships, his triumphs and disasters, his loves and his losses. 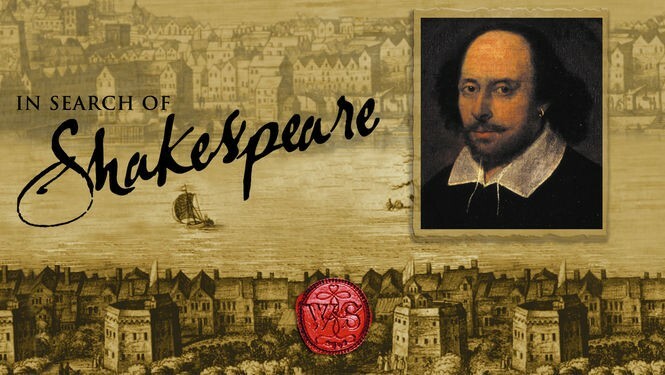 Episode 3 The Duty of Poets – In Episode Three of his historical detective story Michael Wood uncovers Shakespeare’s rise to fame and fortune in Elizabethan London, and the disasters in life and love which marked his path to greatness. As the world approaches the 21st century, this new series hosted by Michael Woods and produced in 1991, reminds us that other nations and cultures prospered for hundreds or even thousands of years. Now all that remains is the legacy of their civilizations, present and influential in our own. Shot on location on four continents, Legacy takes a different viewpoint from other series that concentrate primarily on the the Western view of history. Visiting China, India, Egypt, the Middle East, Greece and Meso-America, this series traces the rise of both Asian and western civilization. Central America The Burden of Time – Isolated from the rest of the world, the Mayans and Aztecs created sophisticated civilizations that in many ways paralleled ancient Mediterranean empires. god like kings and a priestly ruling class dominated splendid cities of temples and pyramids. The Spanish conquest of the Americas in the sixteenth century was one of the most cataclysmic events in history. Spanish expeditions had to endure the most unbelievable hardships to open up the lands of the New World. Few stories, if any, in history match these for sheer drama, endurance and distance covered. Michael Woods travels in the footsteps of the Spanish adventures. 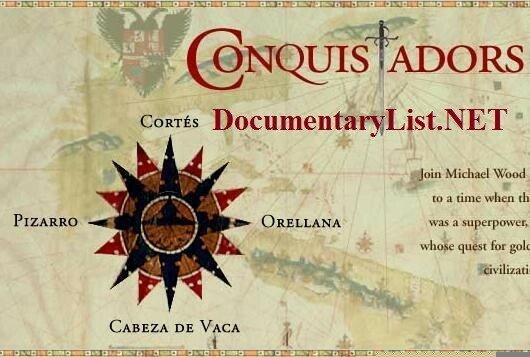 The Fall of the Aztecs – Hernan Cortes left Cuba in 1519 seeking riches in the island to the west. Instead he discovered, and ultimately destroyed, a hitherto unknown civilization. Spanish eyewitness accounts that describe the conquistadors’ awe at the Aztec achievements and the lust for native treasure. Learn the Aztec side through pictographs that tell of the agonizing fall of the empire.